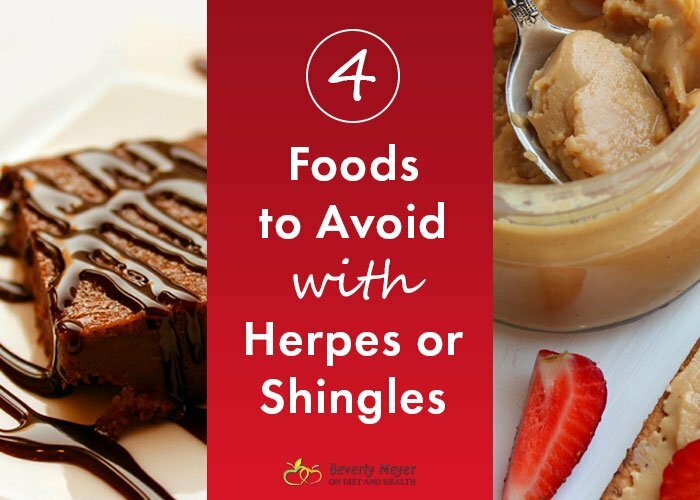 There are several common foods to avoid with Herpes or Shingles. You may be adding these daily to your Paleo, Keto or Gluten-Free menu. Having personally struggled with both of these viruses, I have learned my tolerance level of these foods when I am well and when I am stressed. Herpes viruses live in the nervous system, and when we’re overtaxed, anxious or angry, inflammatory stress hormones and other substances suppress the immune system, allowing the virus to overwhelm our defenses. When you’re feeling strong, healthy and rested, you may be able to handle these foods better. It’s not just the foods themselves, but how your health is at the time you want to eat them. Another factor is the quantity you’re eating. A nibble? A full plate? A combo of all four of these foods? It makes a difference…. The ratio of the amino acids Arginine to Lysine is the key. Arginine promotes the growth of Herpes and Shingles viruses. Lysine suppresses it. Dark chocolate has many chemical properties, including some that are addictive and brain stimulating (PEA), and others that can support feelings of well-being. BUT, dark chocolate is high in Arginine. The good news is if you’re satisfied with a small amount, you’re probably OK – unless you’re already at the edge of an outbreak. OK, don’t be alarmed, but gelatin is high in Arginine which is used for many beneficial purposes in the body, including the manufacture of growth hormone. While it may have beneficial properties for many, the Arginine in gelatin and collagen (and bone broth) may not be so great for Herpes sufferers. (Read my article and podcast intro here for more on gelatin and collagen). Gelatin may also cause histamine problems too. If your allergies, headaches, skin rashes and random “what did I do wrong” issues are not under control, eliminate gelatin for a few weeks and see if things improve. I am always surprised that sufferers of Herpes or Shingles don’t realize that high levels of Arginine in nuts and seeds provoke this virus. I once had a client struggling to get over a persistent Shingles outbreak who quickly improved when she stopped almond butter, bone broth and coconut flour pancakes. Cashews, pumpkin seeds and macadamia nuts have the best Arginine to Lysine ratio, although it’s still not great. Walnuts, sesame seeds, pine nuts, almonds and hazelnuts have the poorest ratio. This puts a serious damper on almond flour foods and nut and seed snacks. But note…. Arginine is not in oils, so almond or macadamia oils are fine as far as Herpes is concerned. 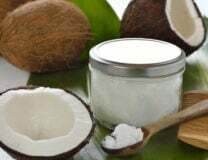 Coconut meat has a good amount of protein (amino acids) and unfortunately a high Arginine to Lysine ratio. Coconut meat is ground up to make coconut flour and canned coconut milk. Coconut water and coconut oil have no proteins or amino acids and will not affect the herpes virus. They are OK. Your stress levels, current health, and the cumulative amounts of these foods can alter their affect on your viral load. If you’re badly stressed and prone to outbreaks, it’s best to avoid all of these. If you’re a little overwhelmed temporarily, and prone to outbreaks, you might tolerate a little almond flour that day, but be aware how much coconut milk or chocolate you have too. The effect is cumulative over a day or two. Grains have more Arginine than Lysine, so a Paleo Diet is already a big help. If you’re still eating wheat, rice and corn, reduce those while you eliminate the other foods listed. 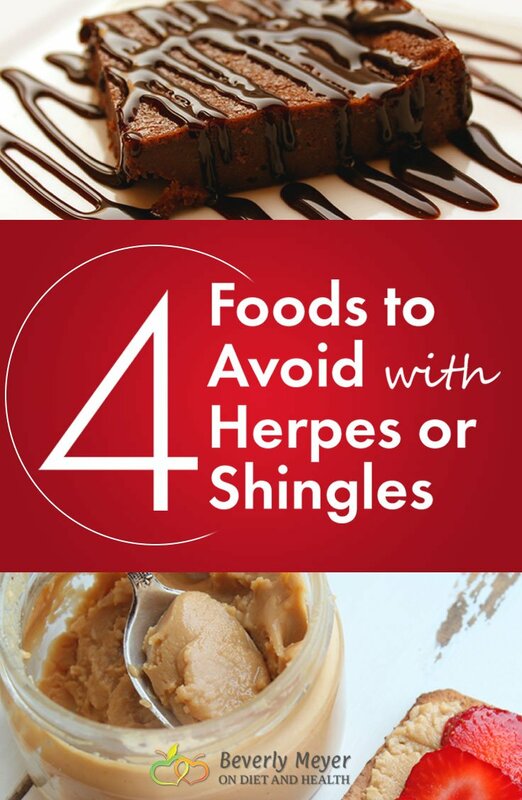 See this article for more on Best and Worst Foods for Herpes. Sugars have no amino acids, but cause an acid load on the body and a temporary paralysis of white blood cells for a half-day after eaten. When the white cells are sluggish, they literally cannot move fast enough to chase and attack viral “foreign invaders” in your bloodstream. Peanuts have high levels of Arginine and mold, and are off-limits completely. If you’re concerned about handling these foods, take (1) 500 mg. capsule of Lysine on an empty stomach the day you consume these foods. Amino acids will not work if you take them with food. If you feel an outbreak coming on, take 1000 mg. of Lysine twice a day for a few days until better. But don’t take any amino acid consistently as we maintain a delicate balance of them. Calcium and Vitamins D, A and K2 are very helpful during outbreaks, as well as extra DHA. Viruses attack the fatty cell membranes, and these membranes are stronger when nourished with fat-soluble vitamins. 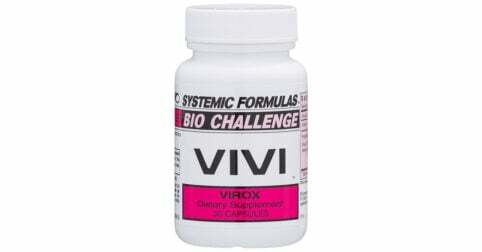 I’ve used Systemic Formulas VIVI for many years to fight viral outbreaks. It’s combined here in my online store with Lysine. I also add Monolaurin, an excellent anti-viral in its own right. Instructions on taking these are on their Online Store pages. Here’s the combination Vitamin D, A and K2 in my online store. This Multi has Vitamin K2 as well as 5 MTHF, the preferred form of Folate. Rosita cod liver oil, sold in my online store, is great for anti-inflammatory EPA-DHA and has some all-natural A and D as well. This cod liver oil is fresh, raw, and un-fermented. Also find it in gel caps here. 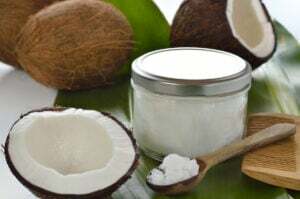 Here’s an article with more information on who should avoid coconut products. And an article on Almond Flour you might enjoy.